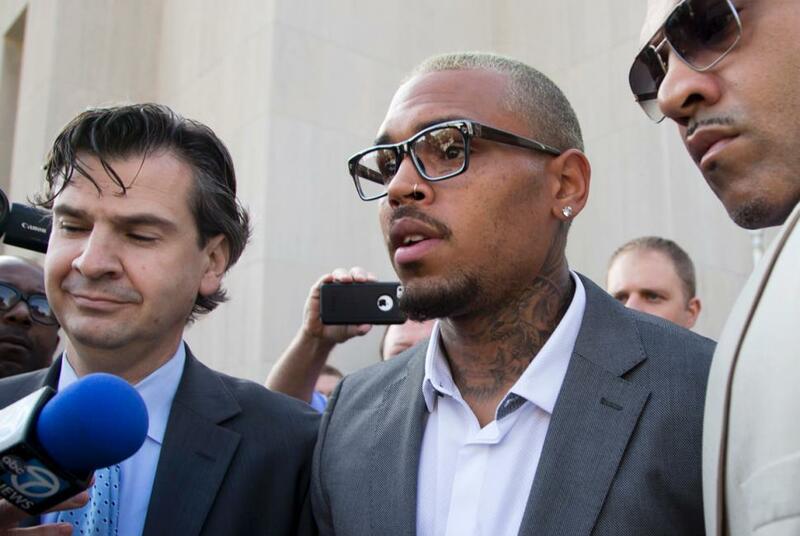 Remember back last October Chris Brown was on probation for the incident between him and Rihanna ? Well while on probation, Breezy was charged with misdemeanor assault for punching a man who was trying to take Chris’ picture. With everything going on in the 25-year-old singer’s life both personal and professional, he went ahead and copped a plea in his D.C assault case. Both Chris and his bodyguard were arrested and charged with misdemeanor assault. The bodyguard was found guilty earlier this year while Chris rejected a plea deal. Apparently Breezy was offered a lesser charger of simple assault in a brief hearing. With on again off again girlfriend Karrueche by his side, Chris apologized to the court and told the judge he just wants to put the whole thing behind him so he can focus on his music and tour again. He was sentenced to time served (2 days he spent in D.C jail after being arrested) and fined him $150. With “X” dropping in a few weeks, this might have just been what was best for Chris Brown and his music career. Watch below as Chris Brown and girlfriend Karrueche leave the court house.